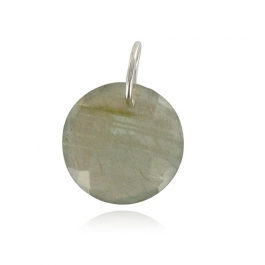 Part of the Leo Collection; this beautiful faceted labradorite pendant is set on a sterling silver hoop. 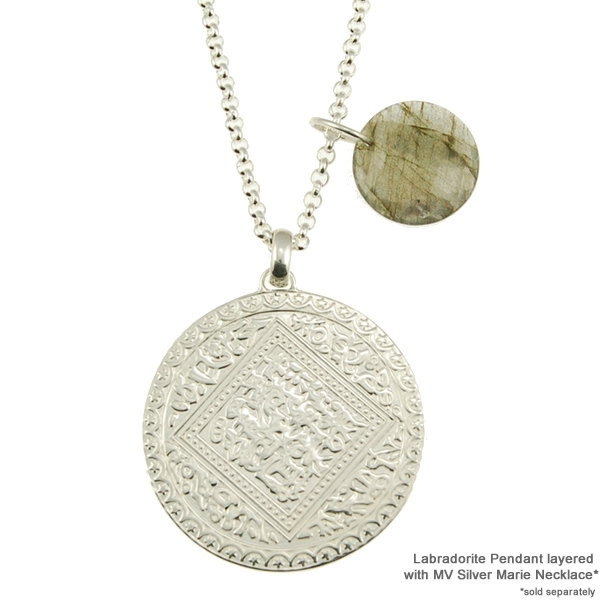 This pendant is recommended as an addition to the Silver Marie Necklace; creating a stunning statement look. 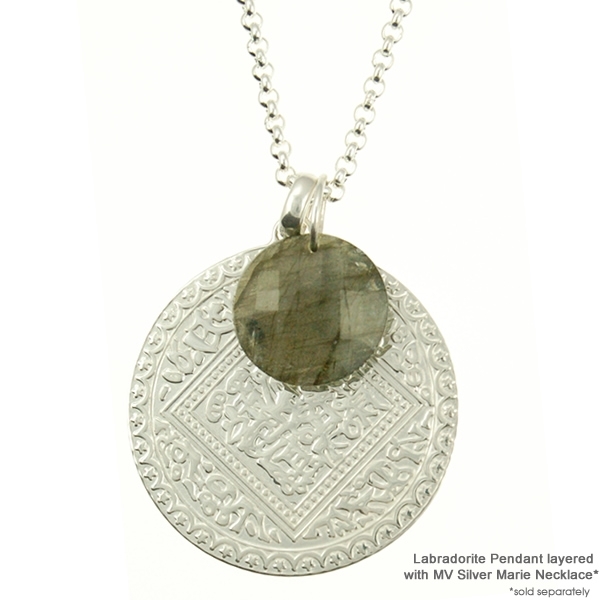 Pendants are a key look this season; wear with a polo neck or shift dress for a striking look this season.